Leaders eat last can be simply interpreted as putting the need of other people in front instead the need of yours. It is an age old saying but people don't really understand it and how it affects the people around you. The other thing he explained is that people follow leaders who not only inspire others but also give them a noble reason to follow them. He gives many examples and stories that shows and explains how empowering others and letting them want to help you makes you a better leader. He also goes on to explain the problem of the current generation, their short term goals, way of thinking and how the brain is trained to accept this way of thinking. It made me realize why twitter/FB is famous. The instant high of a reply you get or a like is like a drug addiction. I have never actually got addicted to twitter or likes. Maybe it is the type of person I am. But for the people who are please change. Please read this book and if it inspires you as it has me please be the change in the world and lets lead everyone into a better world. 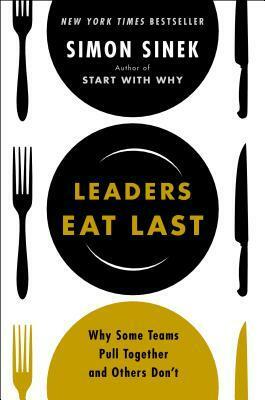 Sign into Goodreads to see if any of your friends have read Leaders Eat Last.